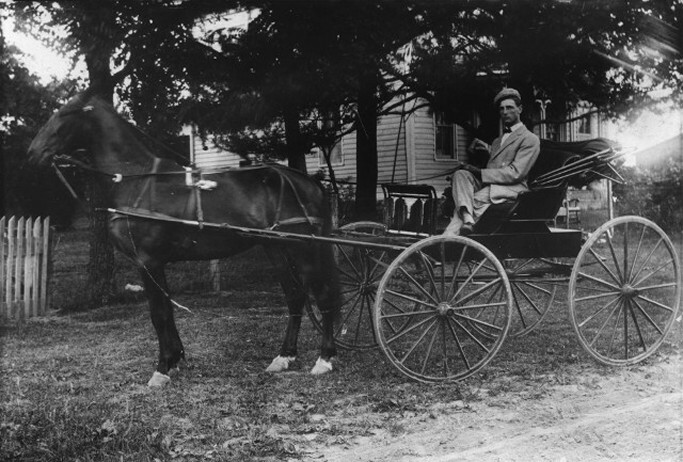 George and Martha (Tracy) Price's family abut 1908 in Hancock County, Ohio. 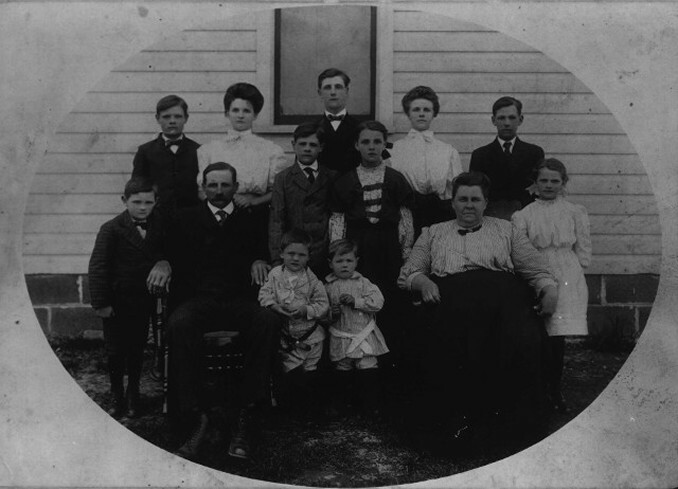 Back row, from left: Joel, Clara, Louie, Lida and Pearl LeRoy. 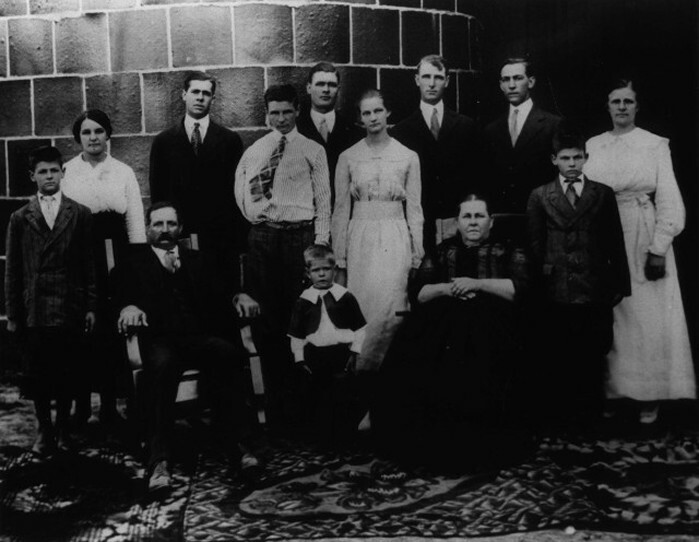 Middle row, from left: George Jr., George Sr., Marion, Anna, Martha and Edna. 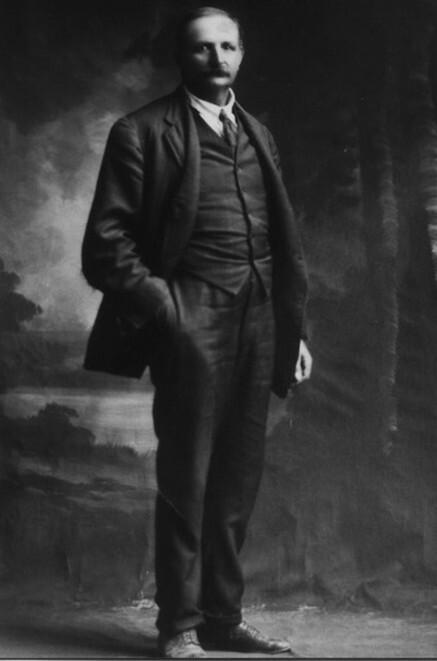 Two small children in front are Elsworth and Lester. 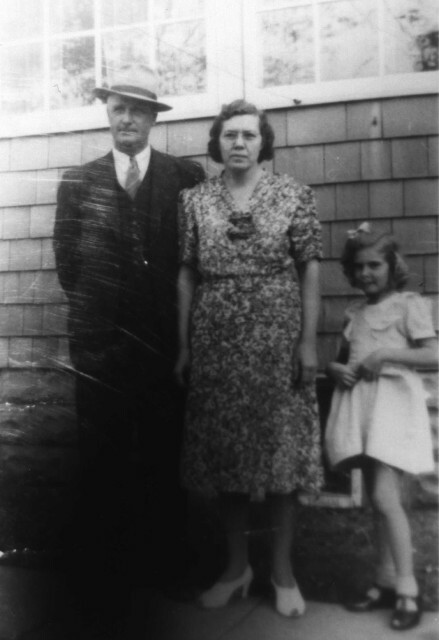 Family of George and Martha Price in the 1910s. Back from left: Anna Belle, Marion, George Everette (with broken arm), Joel Nicholas, Edna Marie Haas, Louie Edward, Pearl Leroy and Lida M. Pever. Front from left: Elsworth Raymond, George, Francis, Martha and Lester Robert. 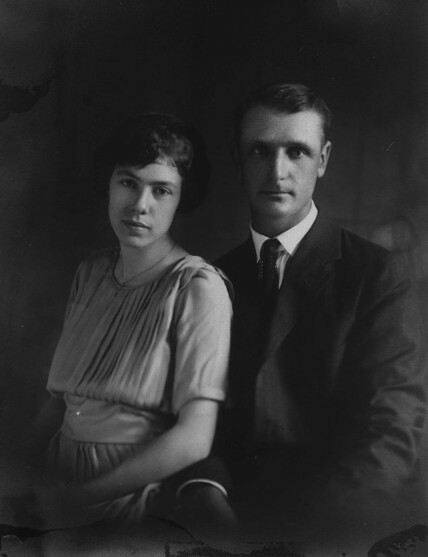 Louie Price and his second wife, Faye McDaniel.